Run Android programs on Windows"
This is a virtualization environment to test or use Android apps and games on a Windows device. This is a tool which allows both the Windows and the Android operating systems to come in on the interface and work together. It is a tool in which you need not have both the Android-based devices and the PC. All you need is the AndY Android Emulator to allow you to have access to the Android devices on your computer. 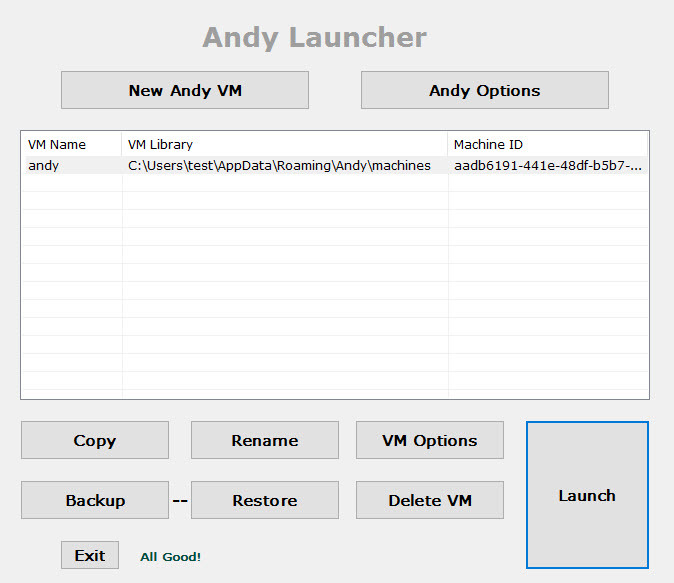 You can create and start multiple instances of this virtual machine and use them in parallel. This is useful because you can tweak different settings for each instance. When you have an Android game and have no idea if you can play it on the PC, then this program was developed for you. This includes even the home screen of the games. The tool comes as a full package as an installation to enable you runs all the processes without any interference. Other functions include access to social networking sites right from the PC. This acts as an emulator and a virtual device such that you will have all access. This is a tool which brings all the functions of the Android on your desktop. It runs all the synchronization and customization processes to allows you to have a seamless function which is important for the current technology. You can create backups of each instance and restore with a single click. AndY Android Emulator is licensed as freeware for PC or laptop with Windows 32 bit and 64 bit operating system. It is in virtualization category and is available to all software users as a free download. 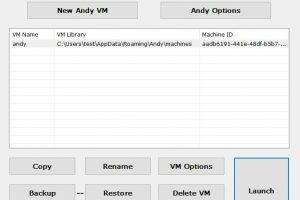 Convert Vmware VMDK files to ..